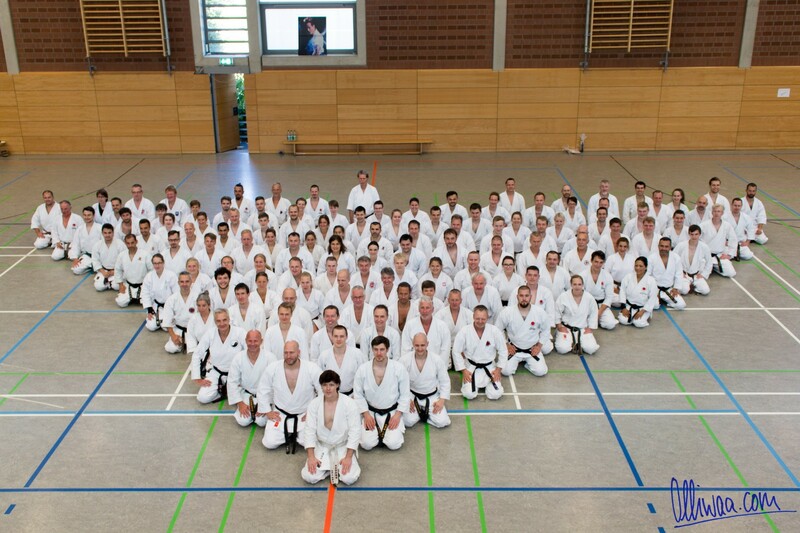 Karate Seminar in Halle/Westfalia (Germany) with André Bertel sensei. 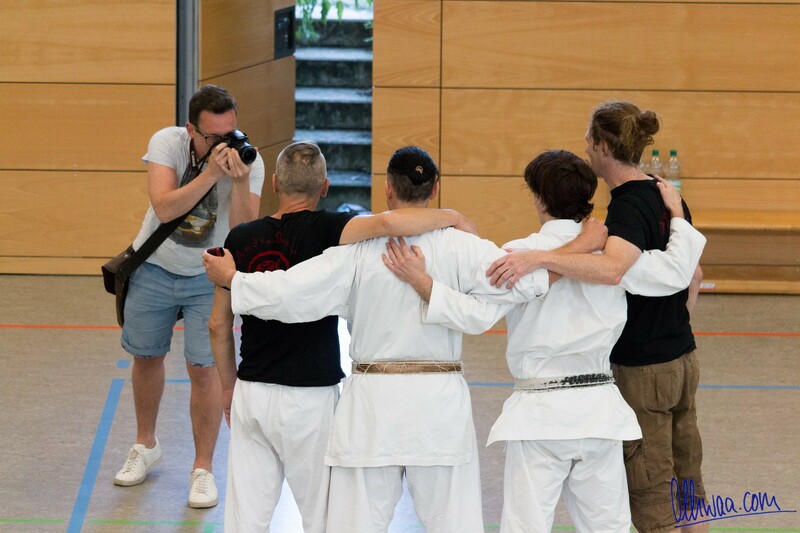 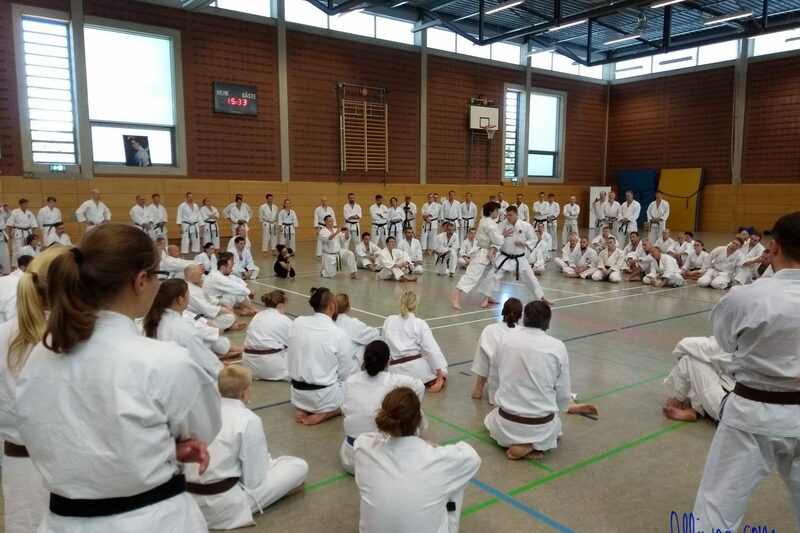 During the last weekend of June 2018, the small German town of Halle/Westfalia turned into the capital of Budo Karate, thanks to Peter Lampe and his wonderful team. 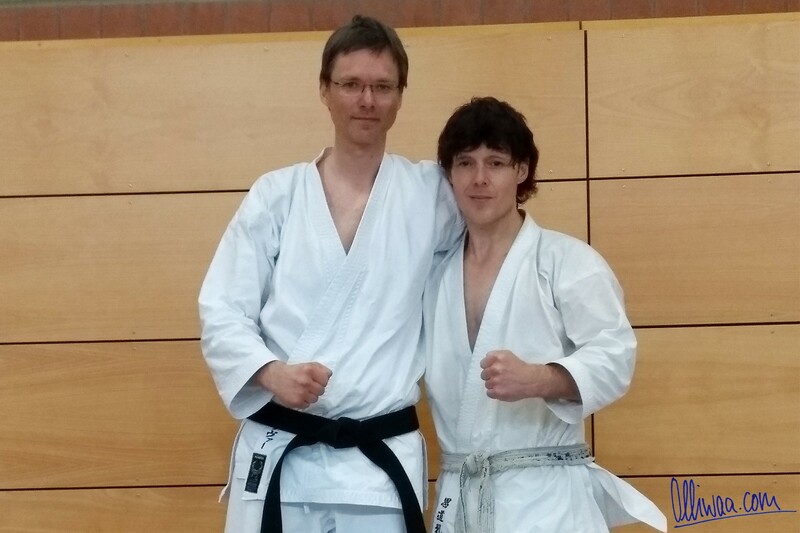 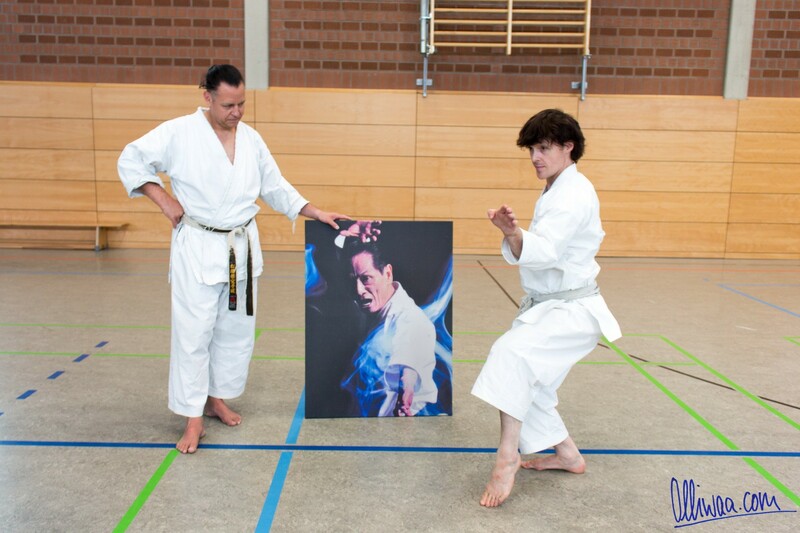 André Bertel sensei, 6th Dan and personal student of the late Karate legend Asai Tetsuhiko (10.Dan), once again returned to Germany for an international gasshuku. 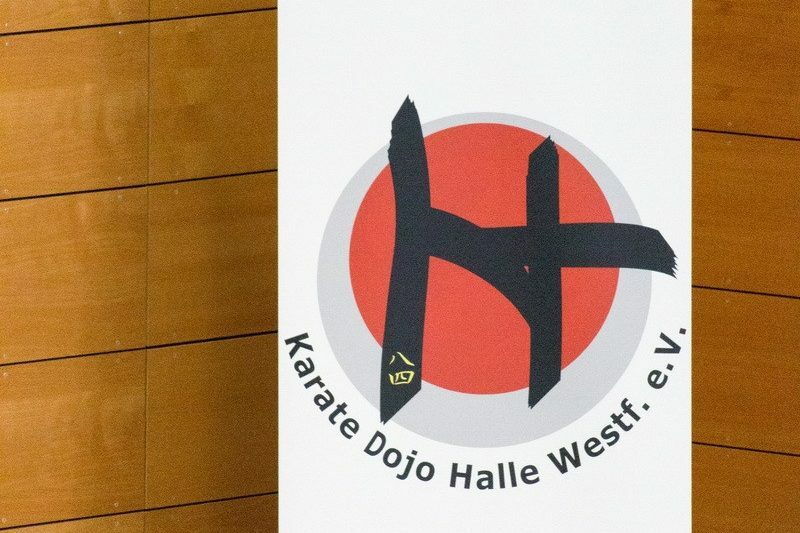 Those who have attended seminars of Bertel sensei before (for me it was the 7th), may have noticed that is workshop was a little different from the ones before. 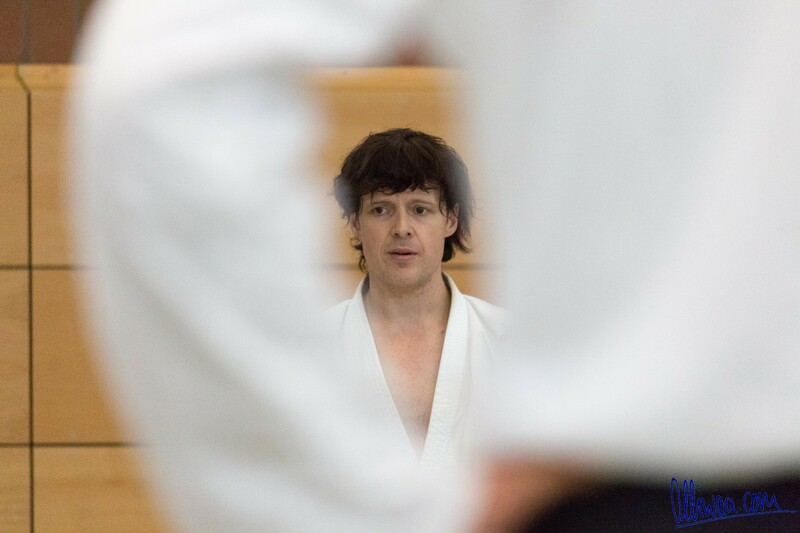 The overall atmosphere appeared to be calmer, explanations were slower, more precise and the content was structured like a story with a great build-up of suspense. 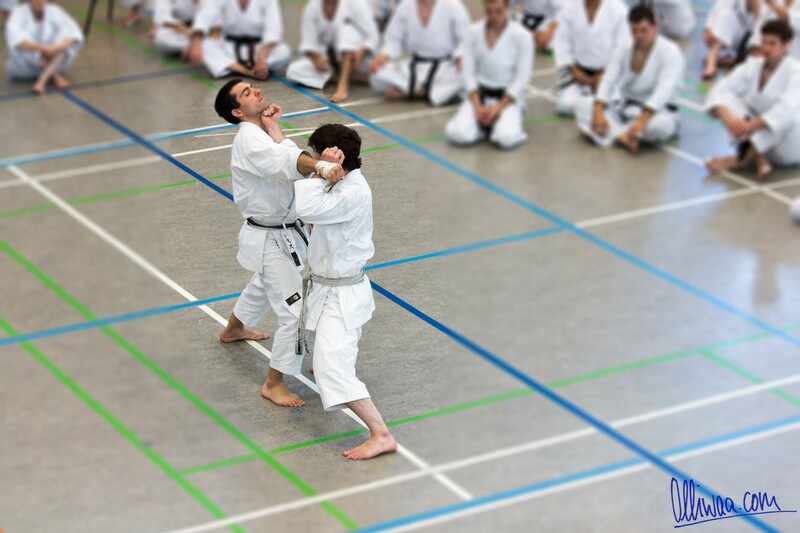 Without going into any detail here, from very basic kihon to advanced Asai Kata and breakneck action, everything just blended together perfectly. 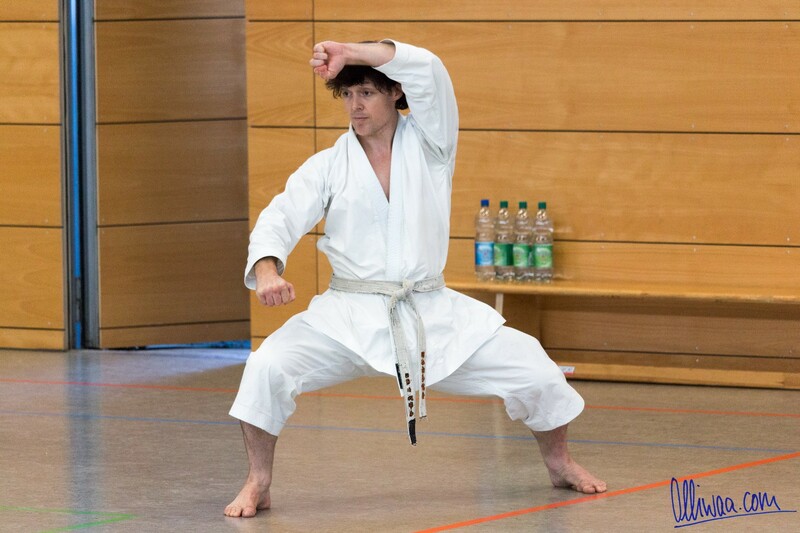 Kakuyoku Sandan was the third of the “crane’s wings” kata series. 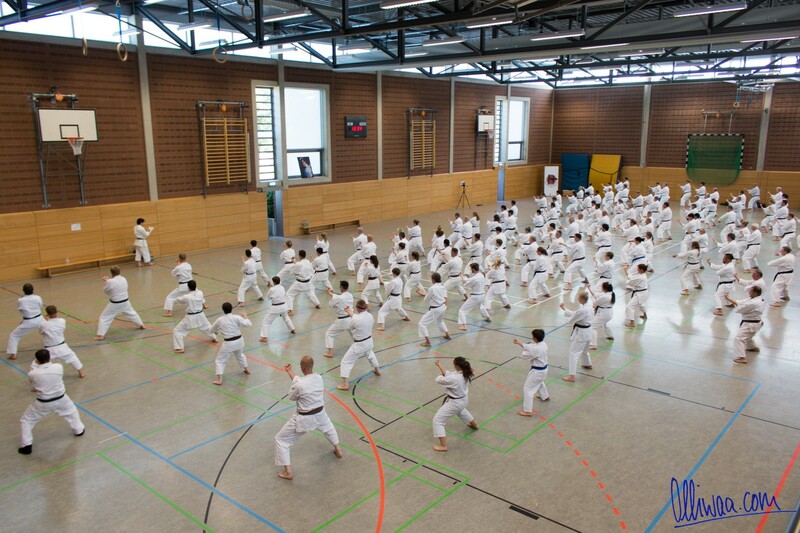 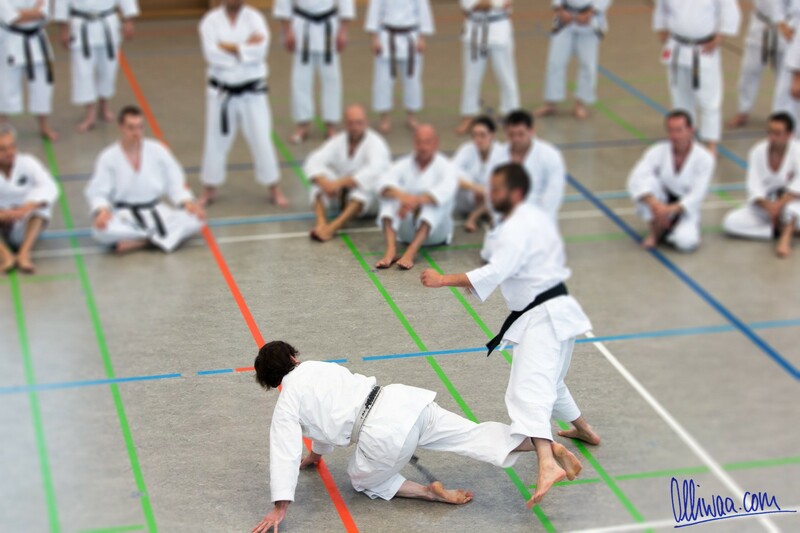 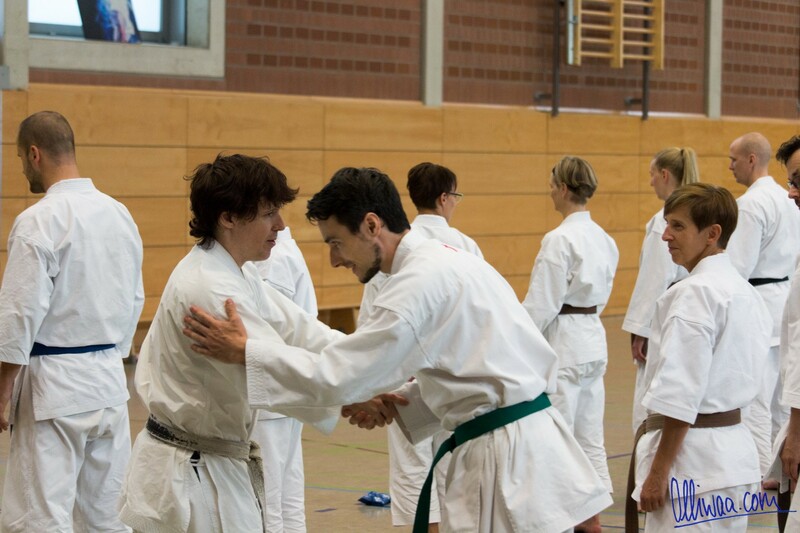 On a side note: the Shodan and Nidan versions were already taught by André sensei in Germany 2010. 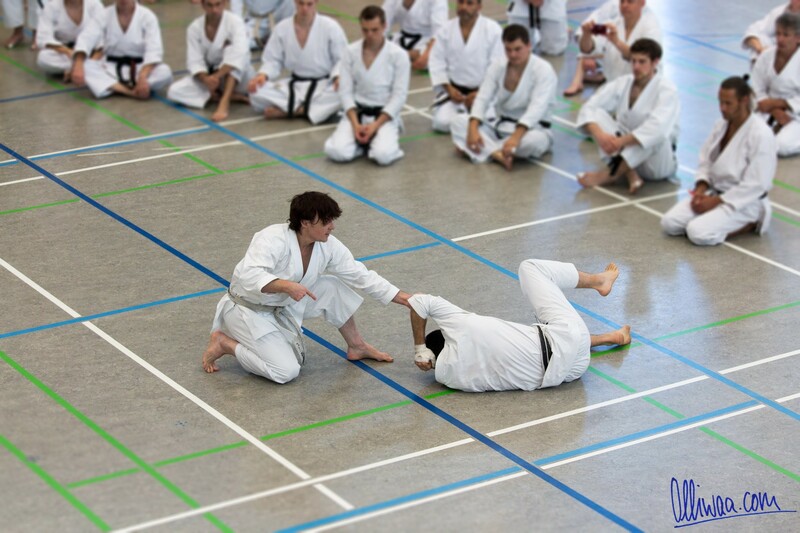 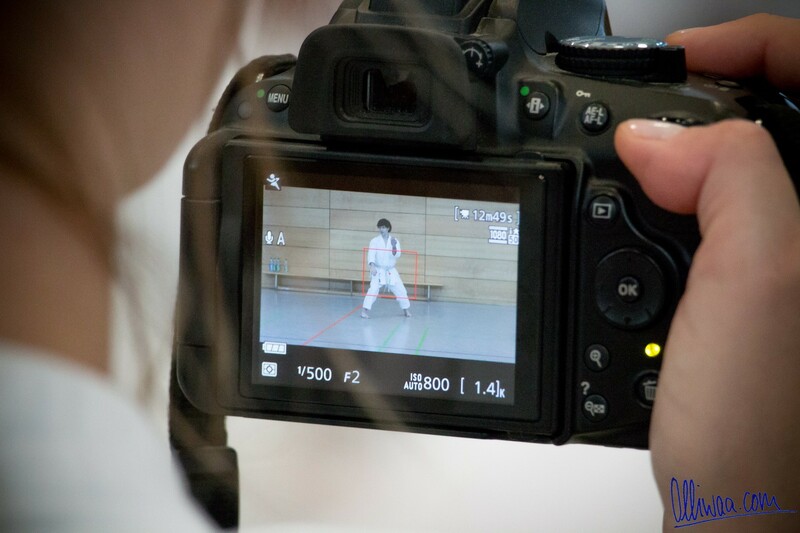 Apart from the martial arts, the small details of the event itself were equally fascinating. 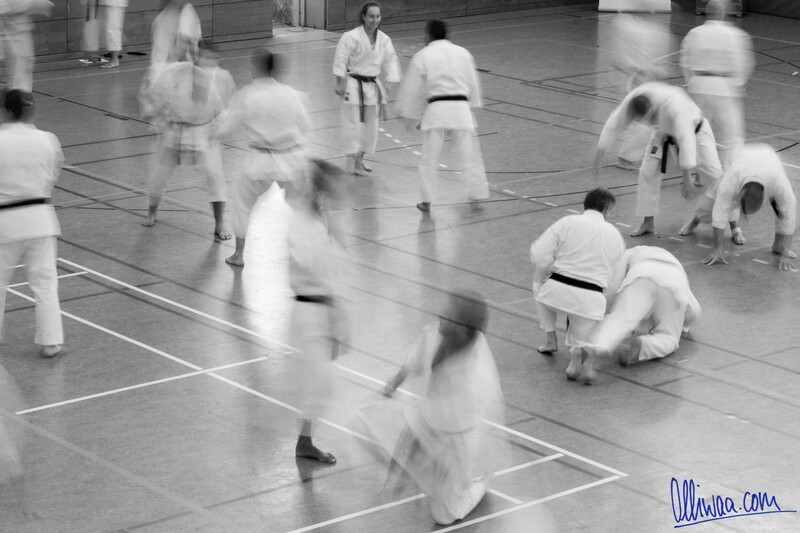 Although the training was physically demanding it felt to me like a short holiday. 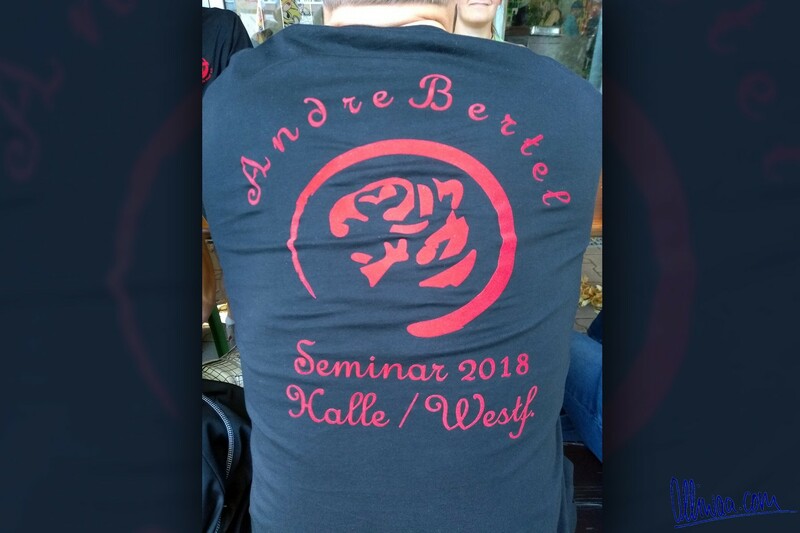 The relaxed and ego-free atmosphere, many smiling faces, blue sky, great food, great people, great organization, great everything will stay in my memory for very long. 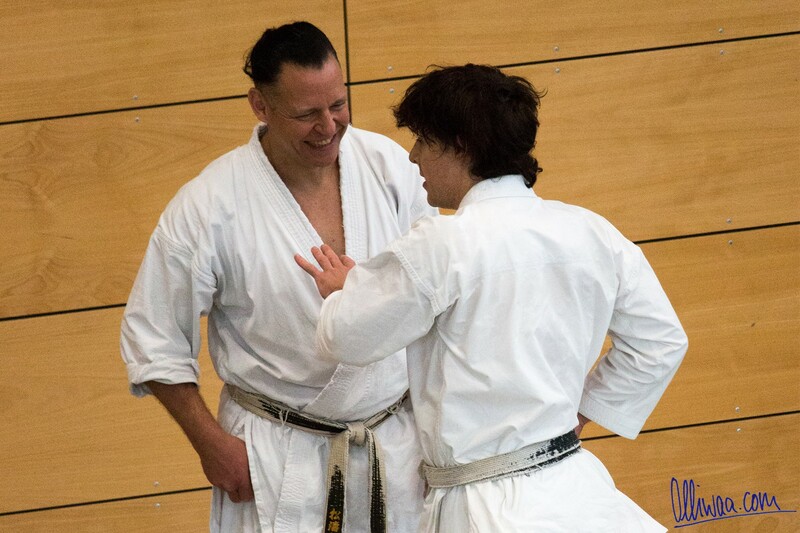 During the session breaks and the dinner barbecue, André sensei spent much time with anyone who had questions, wished to chat with him or take photos. 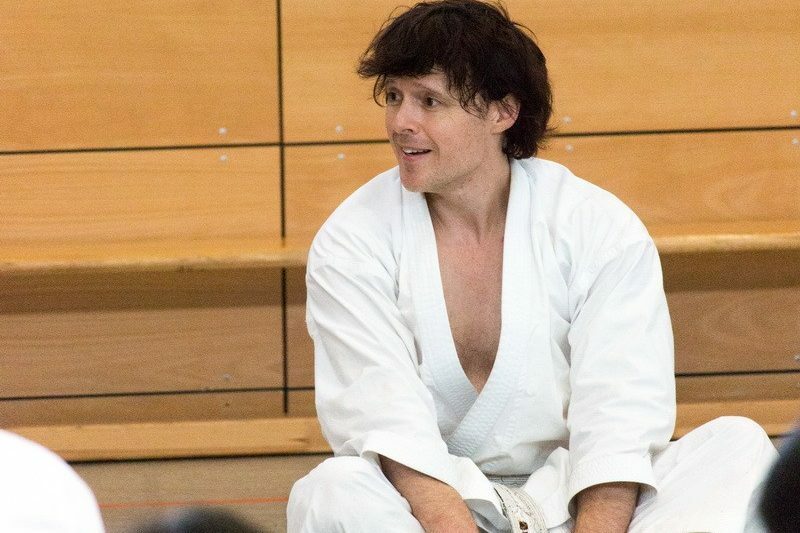 On Sunday, sensei even completely skipped his lunch to have time for his student’s queries. 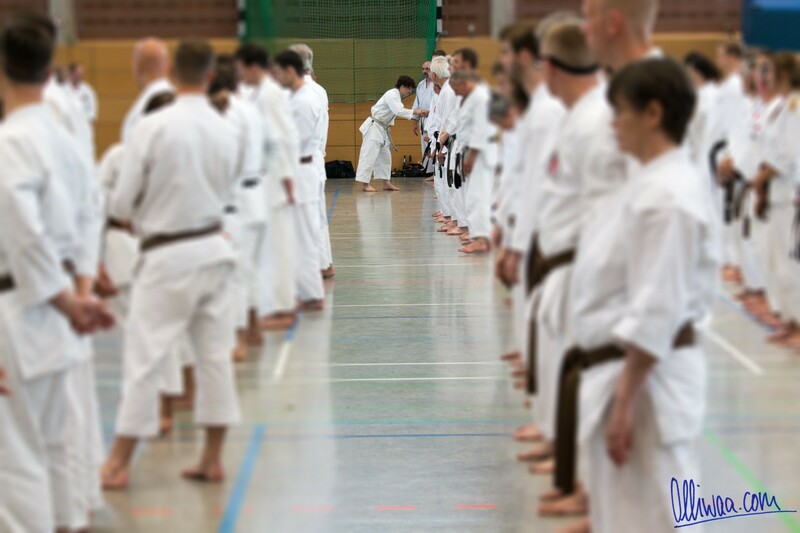 Following the final greeting ceremony, the New Zealander took the opportunity to shake hands with each and every one of the approximately 200 Karateka, to thank them for their participation and to say goodbye. 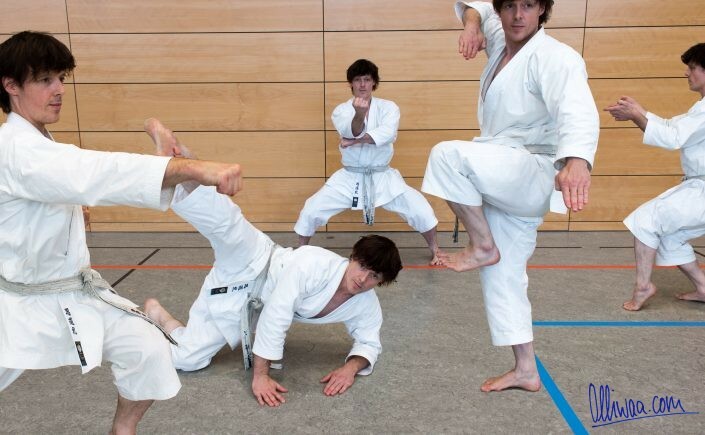 This was probably the most impressive of all Karate lessons.